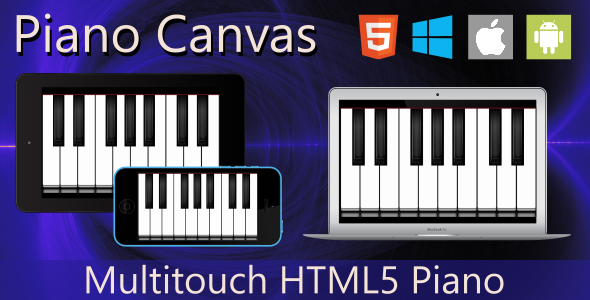 Zoytek has developed Piano Canvas, an HTML5 multitouch piano. The canvas is suitable for embedding in an iframe or for can be used full screen. Play full screen, embed in a web page, or convert to a mobile app. Note: Windows Phone IE browser has compatibility issues with audio.